Industrial Injection tests injectors for the Bosch Common Rail Fuel System. 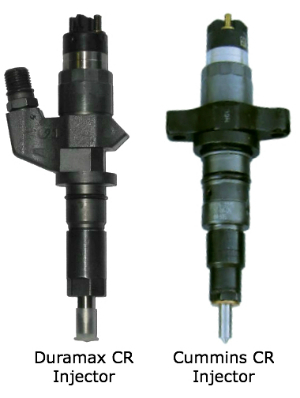 There is no need to reinvent the injector, that’s why Industrial Injection uses new Bosch parts. Bosch parts are the highest quality parts available for the high efficiency diesels on the road today. NEW 60 HP increase over stock injectors. The Dragon Fly injectors are designed to run with the stock CP3 fuel pump. Electronic fueling upgrades will enhance the effect of the Dragon Fly injectors. Testing on company trucks and feed back from customers show these injectors are capable of 500 RWHP. Up to 100 HP over stock injectors. Dragon Fly injectors deliver great street ability and are for the daily driver. 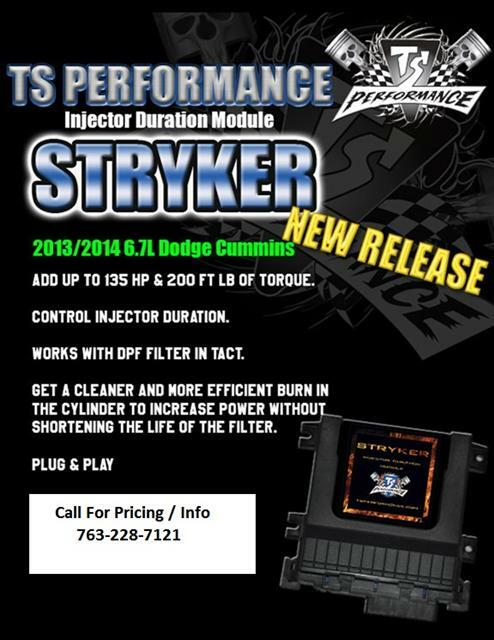 These injectors thrive with an upgrade turbo. Dragon Fly injectors range from 50 HP to 150 HP depending on what your need is. Let T&C know what HP you’re looking for and they will setup a set of Dragon fly injectors for you. Gains up to 600 RWHP! 175 HP over stock injectors. IIS Dragon Flow EDM injectors are capable of 800 WRHP. Dragon Flow injectors are made from new Bosch injectors. Fuel atomization and delivery are calibrated to racing specs. Pump modifications are required to run Dragon Flow injectors properly. FOR OFF-ROAD USE ONLY! 250+ HP over stock! IIS Super Dragon Flow Injectors are highly modified, 10 hole EDM dual feed injectors. A Dragon Flow or Super Dragon Flow P7100 modified injection pump is required to run these injectors. Super Dragon Flow injectors are capable of 1200 RWHP. FOR OFF-ROAD USE ONLY! T&C recommends GEN-NEW BOSCH Injectors, House Remans at customres REQUEST ONLY. When Purchasing Reman(s) if they fail T&C Diesel will warranty if replacing with NEW (T&C will only give credit on New Injector(s) Purchase Under warranty).